Traditional summer vacation is getting less important; every third main holiday trip takes place in winter. 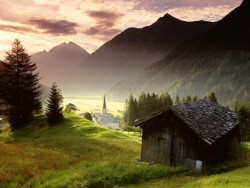 According to Statistics Austria, the traditional summer vacation in July and August is losing in importance. In the past years a trend towards a more even seasonal distribution of holiday trips was observed. While 40 years ago 61.5% of the main holiday trips (trips with four or more nights) took place during the months of July and August, it was only 35.9% in 2010.